“Strider” is an Invicta 26 built by Taylor of England in 1968, so it’s older than me. 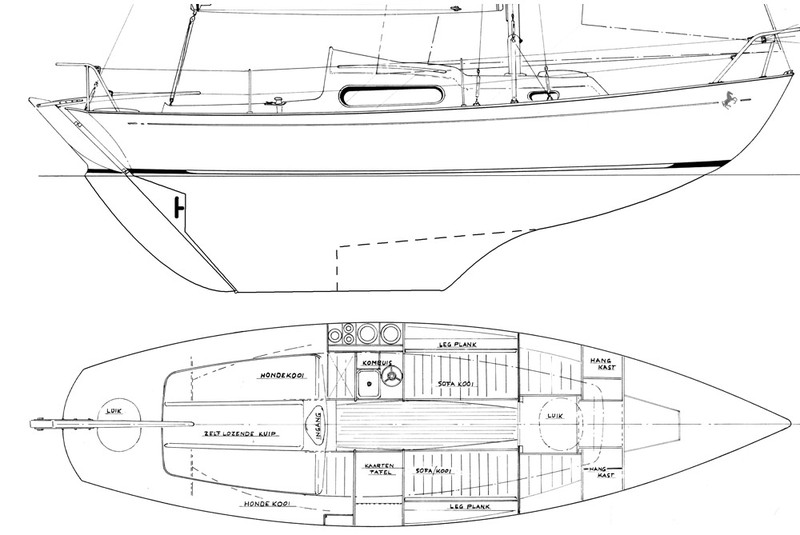 The keel is long, a feature which should ensure a remarkable stability of route, with transom hung rudder. 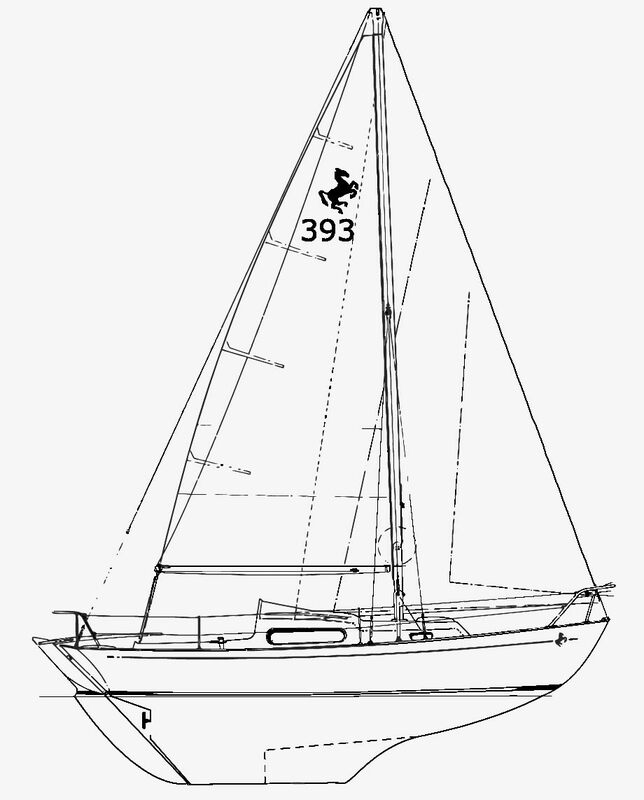 The displacement of 5130 lbs is considered heavy, with 45% of weight in the keel means that it behaves very well even in rough seas. The pencil is to E. G. van de Stadt famous designer active in the ’60s and ’90s and provides an excellent overall balance without sacrificing performance. 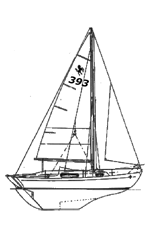 It’s a sloop with furling genoa and a second forestay that will return useful in downwind sailing. 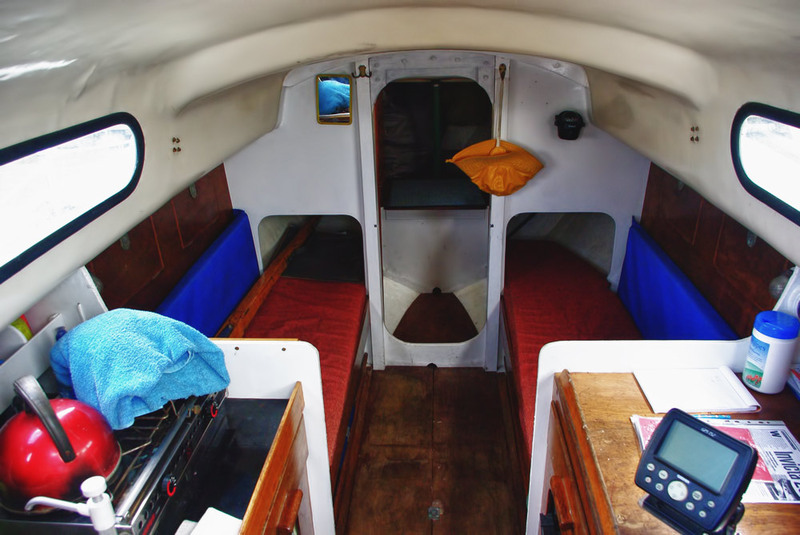 The maximum beam limited to 7.32′, is perfect for upwind sailing but makes the interior space restricted, enjoyable for one or two people, even if it has four berths. It has a Origo 3000 two burner alcohol stove (not pressurized) that warms a bit less than butane but is much safer. It has a small chart table and basic electronic instruments, GPS, VHF with DSC and a fixed log / echo sounder. The electrical system is very simple and is supported by a 86Ah battery which is a bit small but that with the use of LED for interior and navigation lights, in addition to a solar panel, should ensure energy autonomy. Of course with a little care and without waste of energy. If necessary, you can always charge it with the alternator of the 8 hp inboard engine. 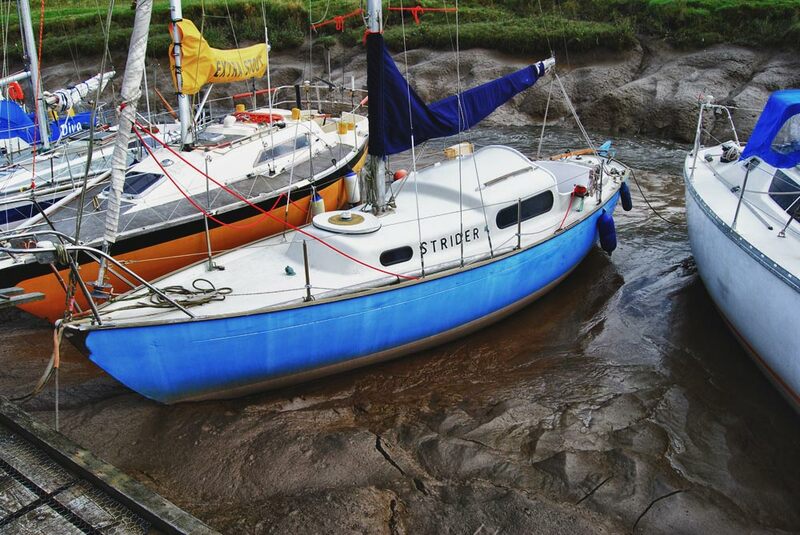 There are some works to do and something that I want to replace but it is a good solid boat with the right spartanity. And to answer a question that many people make me: YES this boat can handle without problems the ocean and others have already done.